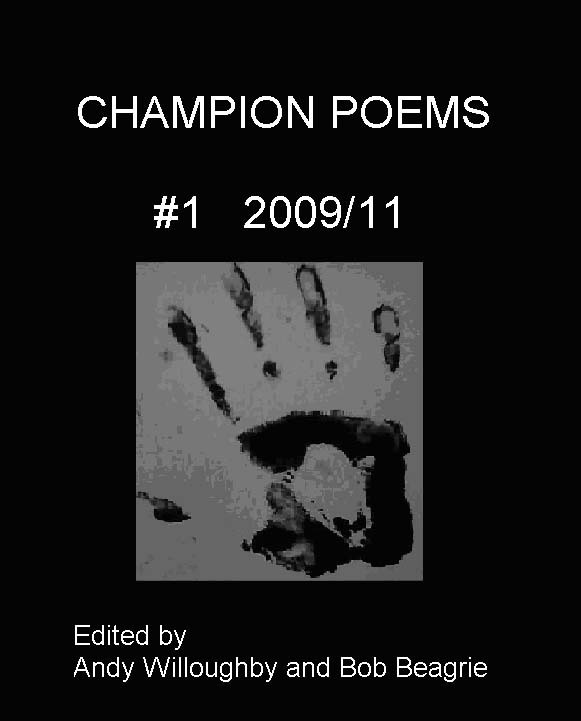 Champion Poems is a new magazine published by SPM Publications - a division of Sentinel Poetry Movement in the United Kingdom. As the title suggests, Champion Poems are selected poems from the on-going Sentinel Literary Quarterly Poetry Competition Series. At the end of every competition, there are three poems that win cash prizes. In addition to these, the judge looks for 32 poems in total from the entries that are strong enough to be published in the magazine. The maiden issue of Champion Poems is edited by Andy Willoughby and Bob Beagrie. The design, typography and print-production is handled for SPM Publications by Last Chance Before Bathtime (LCCB), Kidderminster, UK. LCCB has set the publication date at 27 November, 2009. This magazine will be available for one-off purchases or subscription after the release date.